Why are the Buttons in the EasyMatch QC Toolbar grayed-out? Try resetting the tool bar. To do this in the EasyMatch QC software go to Options/ Customize Toolbar. A new window will open and on the right hand side of this window will be a Reset All button. 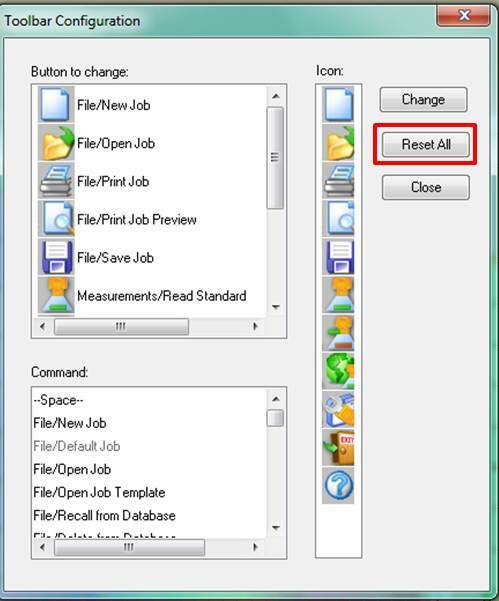 Click the button to reset all of the toolbar settings back to the default. Then close the EasyMatch QC software and reopen it.